Why Service Your Jaguar at Our Dealership? 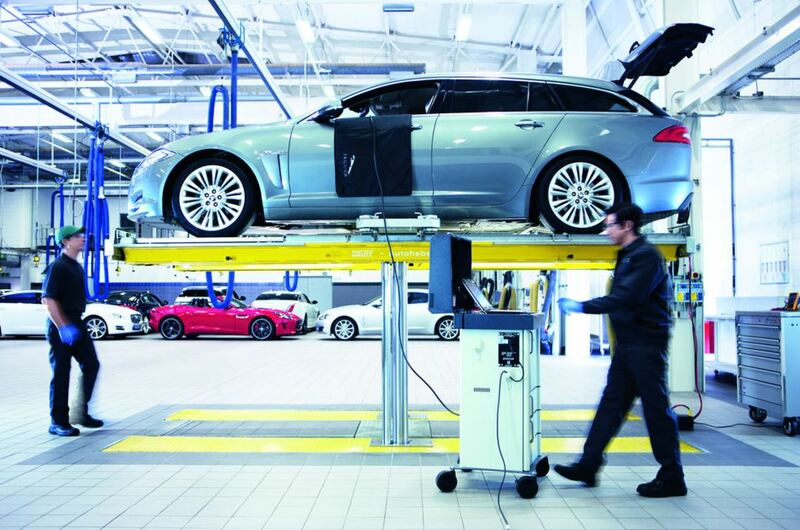 If you're on the hunt for a Jaguar service provider you can trust, look no further than Jaguar Exeter. We're a leading Jaguar dealership in Exeter, New Hampshire with a fully equipped auto service center capable of handling all of your Jaguar maintenance and auto repair needs. Our Jaguar services are all backed by certified Jaguar mechanics, OEM Jaguar parts, and state-of-the-art diagnostic tools. When it comes to luxury Jaguar vehicles, there's simply no reason to take your vehicle to any mechanic who isn't a certified expert. At Jaguar Exeter, you can have peace of mind that your vehicle is in good hands. With our many convenient amenities and programs like Jaguar EliteCare, we do everything we can to take your Jaguar service experience to the next level. If you've been searching for fast, reliable Jaguar repairs and auto maintenance in Exeter, NH, you've found it! Service your Jaguar vehicle at your trusted Exeter, NH Jaguar dealership. Every driver of a Jaguar vehicle should know that staying on top of your auto service is absolutely crucial to your long-term driving experience. Jaguar Exeter makes it easy to keep up with your car maintenance needs, warding off wear-and-tear damage, saving yourself from costly auto repairs, and optimizing your vehicle's performance. Our Jaguar EliteCare offers best-in-class 5-year/60,000-mile auto service coverage for our valued customers. Whether you need an oil change, tire rotation, brake service, or something else, we'll get the job done quickly and we'll get it done right, handling your vehicle with the utmost care at all times. Visit our Exeter, NH Jaguar service center today for the auto service experience of a lifetime! If you're in need of auto service, you can book an appointment right now! Simply use our online scheduling tool or give us a call and a Jaguar Exeter representative will get you on the books. Don't hesitate to call if you have any questions about our Jaguar maintenance and auto repair services, or drop by in person at our Exeter, NH Jaguar service center to speak with an expert face-to-face!